Is MHL support granted? Only in this review I found this phone supports MHL. Should a cheap Galaxy Nexus i9250 USB cable work? I think this phone would look better in black. Any news on release in Asia? Does this phone has Wolfson DAC (audio chip)?? when will it be available in india, what will be the price ? Dilmeet, 13 Nov 2012Boring Looks and Cheap Plastic Feel! I love the H/W but Samsung needs to learn a lot in terms... moreIt is polycarbonate. It is plastic. Same thing. Could you please stop adding "No dedicated camera key" as a disadvantage. A dedicated camera key will actually do more harm than good to smartphones today. It's a thing of the past, it litters a smartphone's body. You might as well add "No infrared terminal" as a main disadvantage. 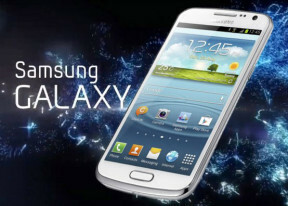 It's a shame that it looks like the Samsung Galaxy S3 and Galaxy S3 Mini! Samsung should build Smartphone-models which don't look equal! Where's the review informing people about the redundancy of Samsung flooding the market with the same devices, just with different names? We waiting for Battery Test !!! Anonymous, 18 Nov 2012Very cheap price in Thailand, 350 Euro or 450 US dollarsIs this phone available in Thailand? yes, where is the batteey test?!!!!! Where is the battery test? This is not better then s3 coz it have plastic body its not situable all kind of people.